Barbless hooks, are they good for fly fishing? When I first started fly fishing all those years ago there was no such thing as barbless hooks for trout fishing, well not that I noticed anyway. Most of your catches were kept back then however as time has progressed things have changed. It is now more the norm to release your catch back into the ecosystem you caught it so future anglers will hopefully have the pleasure of partaking in the sport. The only thing that wasn’t kept back thirty years ago was the small under sized fish that were deemed by the fishing agencies to be returned. When I think about it, some of the small trout I caught back then went back bleeding and probably swam off to die. Well I was only starting out back then and didn’t know anything about barbless trout flies. All the flies I tied were on fully barbed hooks as this was the norm. So my question is; barbless hooks are they good for fly fishing? Let discuss to see the differences. Many tackle changes over the last thirty years! Fly fishing in general has under gone many changes over the last thirty years. Tackle improves every year. Fly rods are much stronger and lighter, same with fly fishing reels. Fly lines are now made with poly-coated layers with braided cores and the terminal tackle, the flies, are now made with chemically sharpened points hooks. To top this off barbless trout flies now are more common. The barb when first conceived was to hold the fish in place so it could not fall off the hook and escape. This was very important back when things got started as fishing was more of a necessity for feeding the family than a sport as it is today. The barb was made with a slit made cut into the hook and pulled out from the wire body. As the fish was hooked the flesh would not be able to slide back off as the barb would hold it in place. Either that or the flesh would be torn and leave a hole if forced too much. Flies are dangerous and can sink in deep! This is the same for catching yourself or your buddy with a fly, as a barbless hook can be slid out with out too much hassle or pain, were as a barbed hook will be painful and leave a scar if pulled straight back out. What is normally done is the hook is pushed round in a curve to protrude out the other side so the barb can be cut off. Barbless hooks were brought into existence to aid catch and release tactics and leave the fish relatively unharmed as it swam away. In fact a trout for instance can be shook off a barbless hook without having to remove it from the water at all. This can be done fairly easily once you know what your doing so it is then not handled and is not stressed more that required. Some fly fishing anglers who grew up with the old barbed hooks and the plan to kill all they caught are mostly put out when asked to use catch and release tactics, as its a new way of fishing to them. There is a lot of complaining that the hooks are not good enough and fish will get off etc etc. At the end of the day we all want to land our trout for picture opportunities and to give us that satisfaction of actually catching your prize so some do not like the fact that occasionally fish or trout will get off. However I have seen this happen with barbed hooks too so I am not convinced that its down to the way the hook is finished but the way the fish is played. A great tip I picked up when using barbless hooks is to twist the hook point a few degrees to either side to make is sit slightly off the straight. This for me not only aids in hookups but helps me land more trout also. I find that when I am fishing barbless hooks which is basically all the time I occasionally loose the odd one but if I keep constant pressure on the trout and play with tension I can usually land more than I loose. I do not think the removal of the barb has dampened my enjoyment of fly fishing and the fact I can release trout and salmon without harming them too much so they can live to fight another day is more important to me than loosing the occasional one. Franc said,”first of all, I don’t fish for pike with or without dead bait. However, Having fished international and World fly fishing championships where barbless is the law, I still prefer a fly with a barb. Chances can be few and far between when fishing so a tiny barb helps land a fish.At least 98% of my flies have barbs. For your information, here in Scotland, on the rivers I fish for salmon, your flies/lures have to be de-barbed from the beginning of the season, typically January or February, until June 1st and all fish returned. (these rules do tend to change according to catchment) in an attempt to increase runs of Spring salmon by returning them.As you might expect, this is a move that’s not always appreciated by every angler, especially those who have been paying for expensive beats for many years in the past and were allowed to take everything they caught. John Said,” As an angler who fishes for the pot, I prefer barbed hooks. I not a sports fisherman as I don’t see the point. I mainly fly fish which allows me to release any fish I deem too small for the pan”. I want to be able to see future generations fly fishing as I walk my dogs along the waterways knowing I did my bit to help that happen. I would really hate it if we were to totally kill of sport species in waterways just to satisfy our blood lust for a sport that doesn’t warrant it. Lets face it we can all go to the store and buy our fish for dinner when ever we want helping the local economy and keep our fishing spots for another day. What do you think, are you a fan of catch and release tactics? 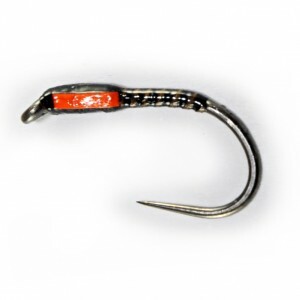 Do you think barbless hooks for trout fishing make you loose more catches? Do you have a favorite hook brand that works better for you. Please share in the comments section below. Fishing is an honored sport, respecting whatever species you chose, consider their habitat & basic food source. fishing for them is a challenge, catching one is a 1) tribute to your skill, 2) luck. Using barbless gives the fish a chance for life after capture. Most places do not have an endless supply of fish so being able to release them is common sense. If it is necessary to put food on the table, then limit your catch to what the limits are as specified and stop when that point is reached. DO NOT cherry pick & cull smaller ones. they all taste the same on the table—–some better than others is true. Leave some for the next person. Keep your hooks sharp and really learn how to bring your catch to net. Take pride in learning to fish expertly, with a consideration of another living thing and a chance to repeat the thrill of hooking another one released from a barbless hook. Hey Dale some great points. It’s more important nowadays to release fish when stocks are low. I want my boys to be able to grow up and still catch fish and if God spares me be able to take grandchildren to fish also, so the more I return safely the better. I use barbless hooks on Delaware for smalmouth when u hit a school of thm helps wth faster release also I can cull my catch quicker ! Release time is much quicker even shaking them off is simple. Agree Philip its down to proper application, catch rates are not effected. I only fish barbless on freshwater. As do I Reinier, means I can release with ease. I use barbless hooks for all my fishing ,be it coarse, fly or lake fishing and try to fish from the line and not the reel to feel the tension in line and hook. The only exception is a barb on the treble to hold the dead bait on. With modern rods I have never had a problem keeping a fish on provided your hooks are kept sharp. I even use barbless with my cane rod and would put the fish welfare above my need to land a fish any day. But that’s just the way I feel and others would always use barbed or semi barbed if the fishery permits it. Viva is difference. I would never impose my beliefs on others. Hey Mick, appreciate you taking the time to respond. I agree barbless are usable if worked correctly. A lot of the negativity towards them comes from improper use. I think Barbless hooks are very affective and great for releasing fish and think its the only way to go, I am predominantly a fly fisherman and sometimes have a problem getting barbless hooks for fly tying but I must admit its getting better, and are more readily available these days and have no effect on your catch rate. Hey Steve agree it doesn’t affect catch rates (or hook ups) it may affect the number that come to the net but as others have said that’s all part of the sport. If it helps conserve stocks I’m all for it. Barbless all the way for all species. You will lose the odd one or two but does that not make for better sport. It would be called catching if you landed them all. Hey Darren agree barbless hooks come out so much easier than barbed, have been on the bankside helping fellow anglers try and remove barbed hooks from fingers, heads and its not pretty. Hi John, I am friendly with many anglers on my local rivers of the same mind. Still quiet happy to go fish for a few hours and bring a few home for the pot. Nothing wrong with that as they have been doing it for years and as you say training an old dog is not that simple. I’m just happy that these guys have the strength to get out fishing and enjoy the great outdoors. I don’t know. I always fish to kill and when I have caught my quota I go home. Clive that’s OK if the fishery allows that but what about game anglers forced to use barbless as catch and release is enforced? Its not as simple for many of our fellow fly anglers. I do take your point on board though. I have been fishing since the early 1970’s and it’s true to say that things have changed, when I was young the emphasis was to catch fish and as a youngster learning barbed hook helped me not only keep the fish on the hook but also kept my interest in the sport. However as I grew I realised how much damage was being caused by young Angler’s like myself. Nowadays there are very few places left where a youngster can appreciate the sport and learn without having to pay a huge club membership fee. I use barbless hooks for course, pike and fly fishing, I agree that when using trebles it’s best to have one barbed to hold the dead bait. I don’t think it matters in fly fishing IF you are going to dispatch your catch, but all other times I would say barblessis the best. It’s far easier to un-hook your catch, and quicker, it also makes landing your catch more of a challenge, if you do loose your hook to the fish there’s at least a chance it can unhook itself. I’ve seen some horrific injuries to fish mouths, especially pike, caused by barbed hooks. Thanks Andrew for that in-depth answer to your findings of almost 50 years in the sport. I find myself using barbless when fly fishing, if I loose a fish then I loose a fish. I was never one to crack up if a fish got off, its part of the sport. It used to amuse me when my colleagues would throw their rods up the banking or into the water when one was lost. I’m like what the heck the fish needs a chance too! There are many that believe they will loose more fish using barbless but as mention in the article a slight twist of the hook makes for better hook ups and keeping decent pressure during the play ensures they come to the net. A simple shake and most just fall off making catch and release a breeze. But as I see from the answers coming back to me there is more than one opinion. For trout men/ women it’s a no brainer. Barbless for catch and release and barbed for the dinner which should not be too often unless you own a fish mongers. Also barbless for beginners. Hey Mark thats a good way to look at it although in my last comment you will see that some rivers don’t allow barbed at certain times of the year. “on certain rivers, your flies/lures have to be de-barbed from the beginning of the season, typically January or February, until June 1st and all fish returned. (these rules do tend to change according to catchment) in an attempt to increase runs of Spring salmon by returning them. I know a lot of rivers in Ireland are also in the same boat requesting barbless hooks especially at the beginning of the season. A fly will hook the grass, snag on a rock, catch a tree branch and bury itself in your hat but a salmon can spit out a double barbed or not. Brain if we are not concerned if the odd one drops off then barbless are a good option. For a beginner who maybe wants to see his first trout and take it home then keeping it on with barbless can be hard work. It takes a bit of experience to keep the trout on the hook. I fish for trout on a Stillwater generally on a two fish kill ticket. While I have dispatched my two fish I then use barbless hooks. Unhooking is easy I simply lower the rod and create slack line and the hook falls out. Yes Rev Davudson, barbless hooks are great for quick release. A good option when fishing catch and release. Thanks for your input. Hi, I’ve Pike fished for over 35 year and for the latter part have used and promoted the use of semi-barbed hook rigs, however keeping one of the trebles fully barbed, the one that’s pricked into the bait fish, predominantly used in tandem hook rigs using size 8 hooks. If you happen to deep hook a pike, which often happens it’s easier and quicker to remove barbless or semi-barbless hooks. From a conservation point of view their less likely to be detrimental to a Pike should you lose your terminal tackle. Another interesting point is that larger hooks have a more aggressive barb. So let’s not worry about losing a few fish and be kind to the species we all alure to catch as part of our sport…..and release. Not sure about the pros and cons of using barbless while trout fishing though? Hey Aidan thanks for the in depth comment. I was with a group of Pike anglers recently who argued the point to me that semi-barbed or barbed hooks is better than barbless while dead baiting for Pike. They put forward the argument that when on a tandem rig as you say sometimes barbless or even semi barbless trebles will dislodge and re-lodge in the Pike’s mouth several times during the fight. This not only means the Pike was close to being lost but the extra trauma to the fishes mouth means it is more likely not to survive the encounter which is not what the sport needs. Looking at it from their point of view made me think that there is a call for a fish being hooked correctly and being safe during the fight rather than hooks moving about and causing deeper holes than needed. So in their case barbed hooks may indeed be better. As you say it’s not the same for trout fly fishing while on one hook as the pressure you give to the leader the hook should remain in place during the fight if it dislodges then the trout is free not like the Pike that will get caught again with the other hook. Hey Bill, no I am not that guy. Although I have fished that river and it has a wicked swirling wind on occasions which make casting large Salmon flies very dangerous. There are special casts to help with these situations but sometimes accidents still happen. If using a barbless hook cutting the barb away would not have been necessary making the removal so much easier. So basically this is all about keeping bone heads from getting barbed? I think I prefer the old fashion barbed hook to keep the fish from getting away. Your not alone in that thinking. There is a big debate to the catch and release mortality rates. I am in the thinking if it helps the fish get released quicker and easier then I’m for barbless hooks.